If you’re planning a trip around France, there are a lot of things that will tickle your taste buds and manipulate your mind. The country is known for its incredible amount of history, art, and architecture, as well as its Michelin star restaurants and of course – the wine. But if you don’t know where the best-hidden gems are, here’s a list of what you need to look out for while you’re away. Probably one of the most famous capitals in the world, Paris is an iconic place to visit if you know you’re going to be in France. 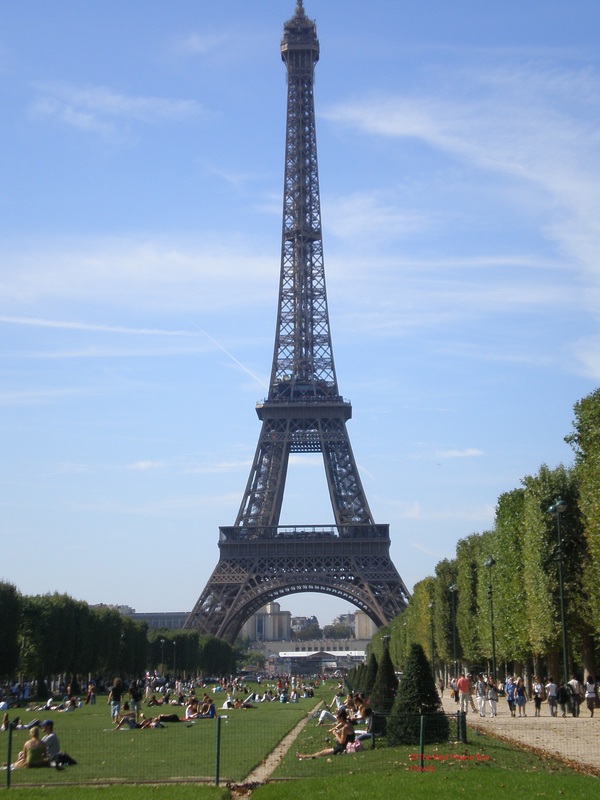 It’s known for being the city of love, romance and of course, fashion. You can go and stand right in front of the oh so famous Eiffel Tower, or if you’re brave enough, take a ride all the way to the top so you can capture that perfect selfie. Then cycle along the Seine – or better yet, cruise down it on a bateau to get the whole experience. You can finish off your afternoon by having an espresso at the many different cafes on the strip and people watch until you get hungry. 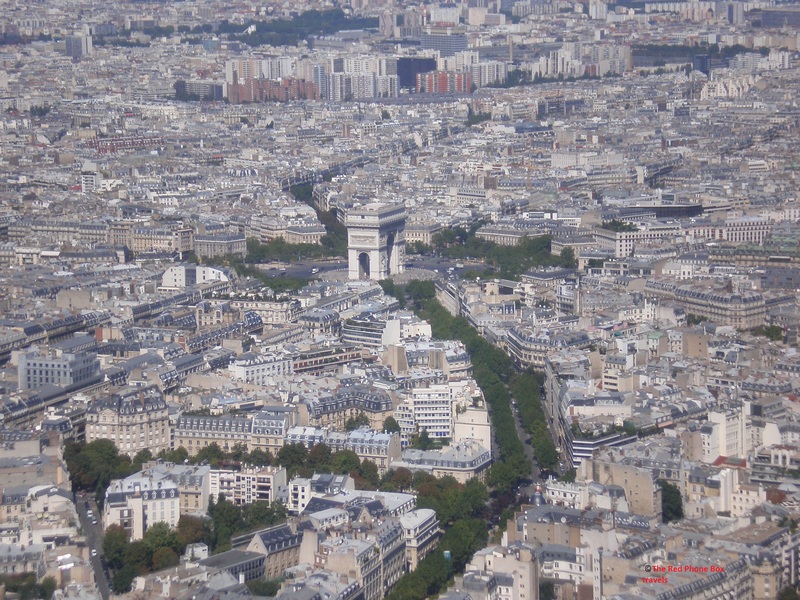 This is a city in France, about five hours away from Paris, and is, in fact, the biggest in Rhone-Alpes. Lyon is famous for its historical landmarks that were created hundreds of years ago and still stand strong to this day. It was known on the lips of the workers as being one of the most productive cities for weaving silk, which was a rather big deal back in the day, and now the attention has been put onto their reputation for gastronomy in France. Everybody knows that France is famous for its perfume production. Whatever brand of perfume you buy it’s very likely that perfume was made in France. I’ve been several times to the south of France, specifically to the French Riviera and on those trips I have visited two perfume factories. 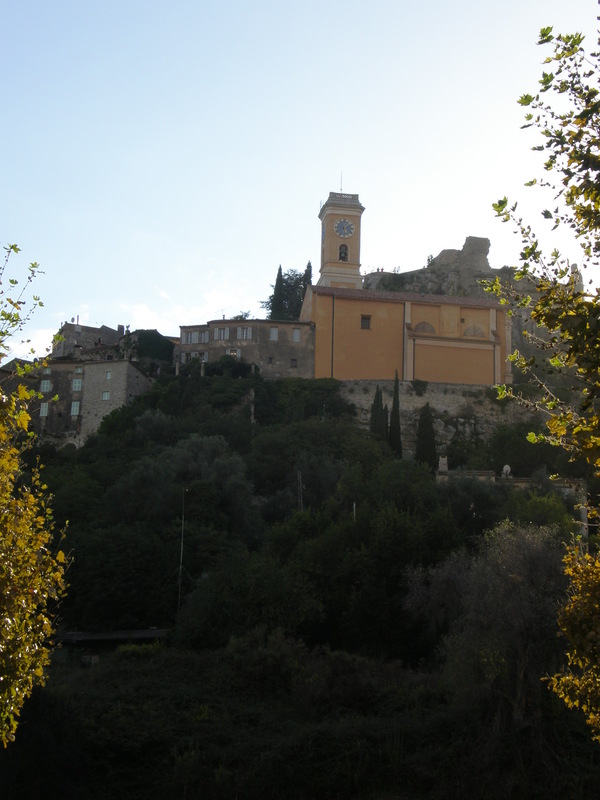 I’ve visited Fragonard factory in Eze village and I’ve visited Galimard factory in Grasse. These factories/shops are open to visitors and offer free guided tours in a variety of languages. 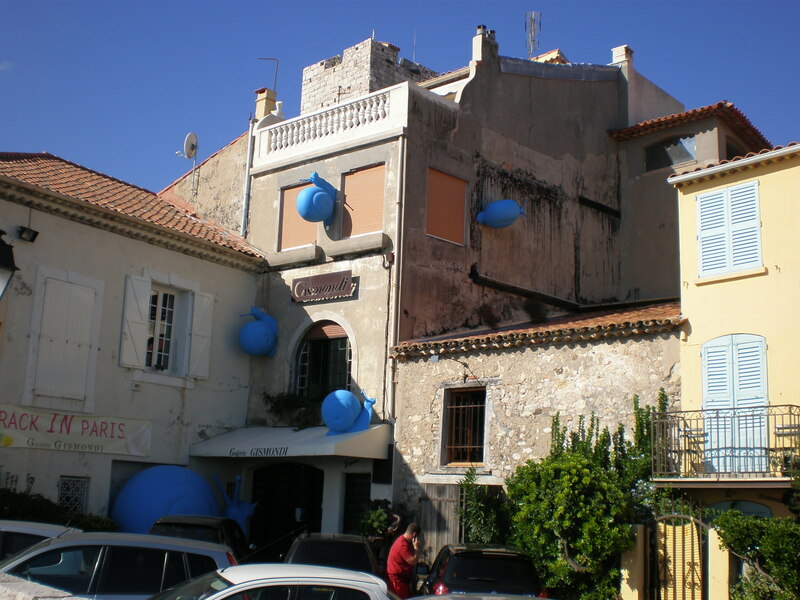 I definitely recommend to visit at least one of them while you are at French Riviera. Easter at home or away? Nestled in a bay at the French-Italian border lies the small town of Menton famous for its annual Fête du Citron (the Lemon Festival). 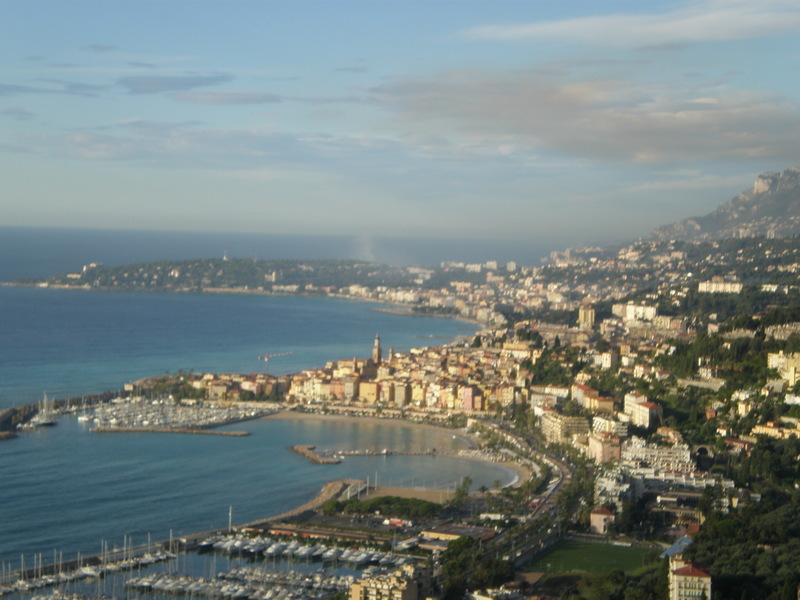 Less known than Nice or St.Tropez this charming French Riviera town offers a laid-back experience of both the French & Italian Riviera. 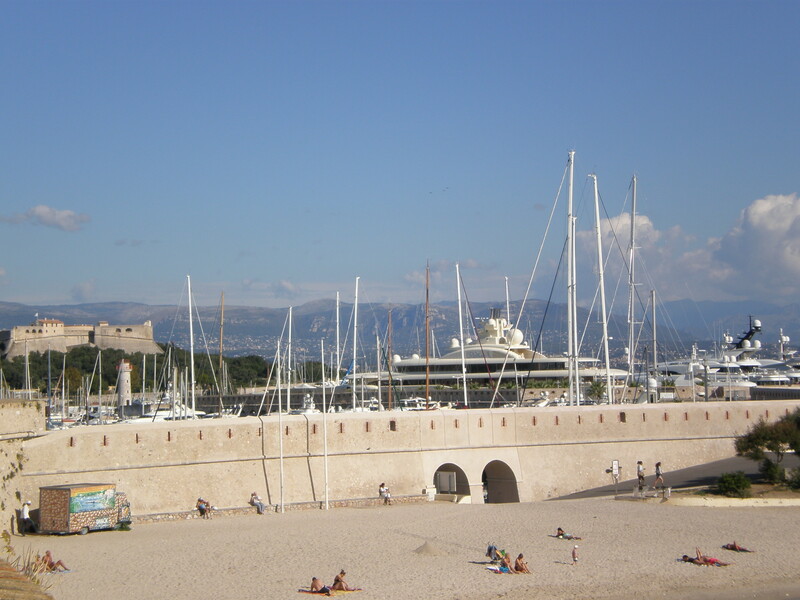 My advice is to take your time in Menton and just enjoy yourself. 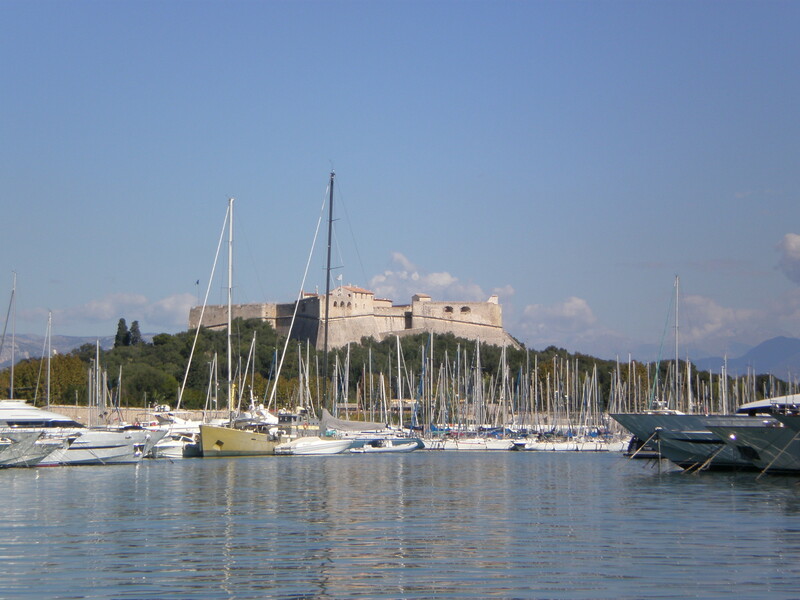 Walk by the sea, browse the stalls of the local market full with fresh fruit and vegetables, try limoncello from the local type of lemon in the shop Au pays du citron, have lunch, take numerous photos of beautiful pastel coloured buildings, walk around the old town and breathe in the fresh air. 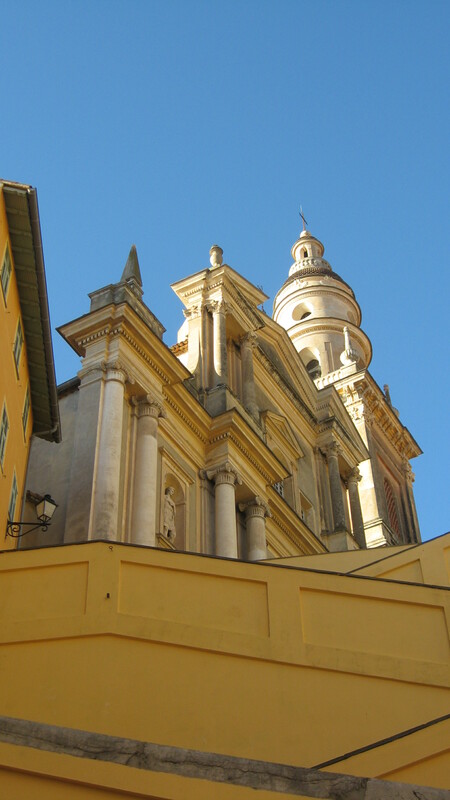 But if you really want to do some sightseeing then here’s what you can explore in Menton. If you walk uphill from the main street Rue St.Michel you’ll come to this elegant baroque church after you’ve climbed a wide stairway. 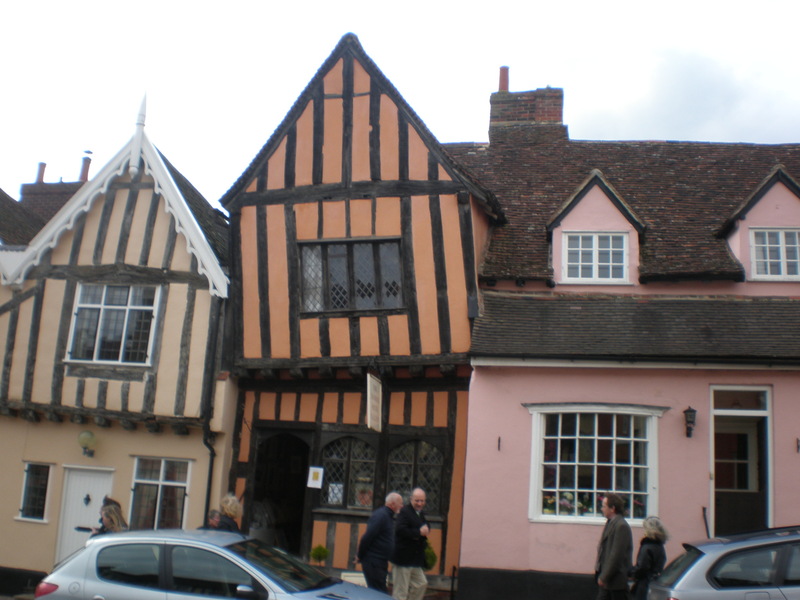 The annual Music Festival takes place here too. The interior of this 17th century church is really lovely and you should look for St.Devote’s chapel inside since Menton was under the rule of Monaco (there’s a Grimaldi coat of arms too on the square) a long time ago. 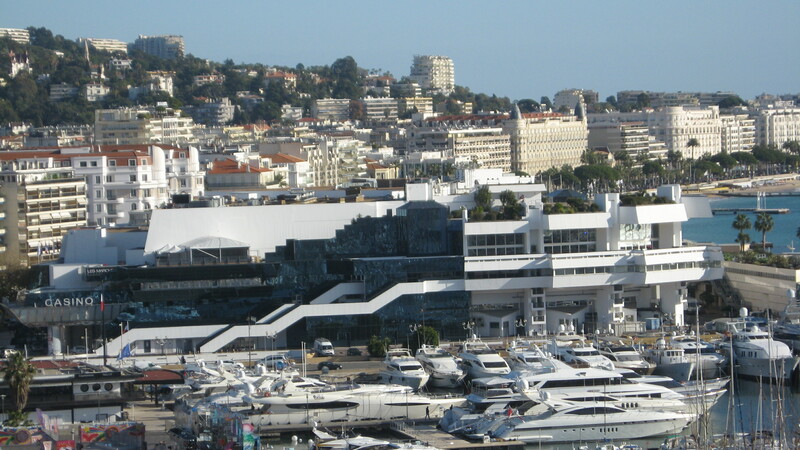 Worldwide famous for its annual Film festival Cannes has become synonymous with film star glamour and glitz but you can enjoy it too especially if you don’t visit during the festival frenzy. 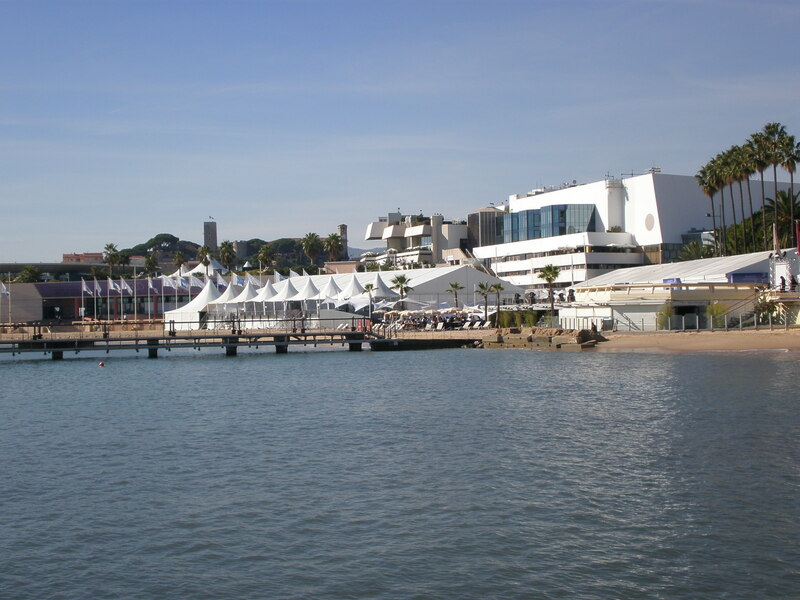 Cannes can be appreciated even if you can’t afford to stay at Carlton because there are many things to do that don’t cost much. 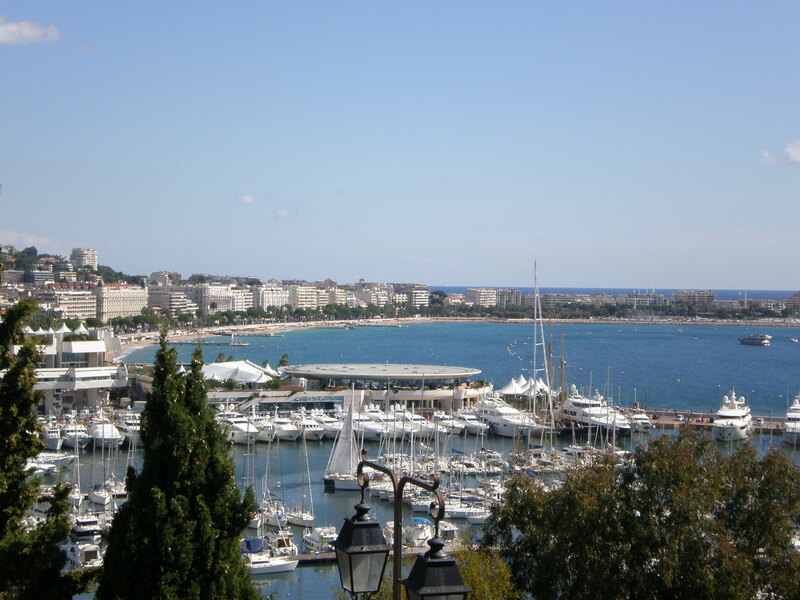 Whether you want to do some people watching or do some window shopping or you want to imagine how it would be to stay at Carlton or Martinez this is a must while in Cannes. When you get overwhelmed with everything sit at one of the blue chairs and relax your eyes by staring out to the sea 🙂 You can refresh yourself with an ice-cream or a drink from kiosks along the promenade and you can even get a temporary tattoo or buy a painting or sunglasses. The bet view of Cannes is from the little square at the top of Suquet hill. 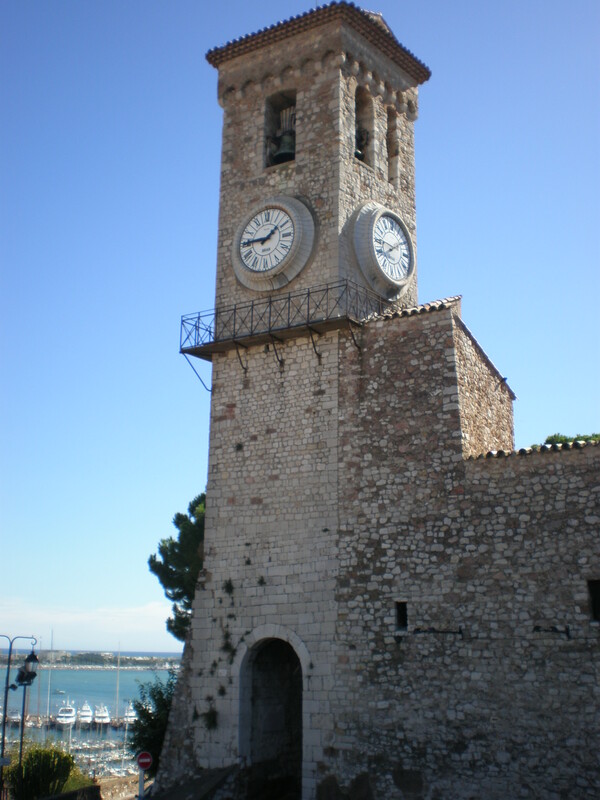 You have to go through the clock tower and you find yourself at the square with the Virgin Mary statue in memory of the fallen soldiers. 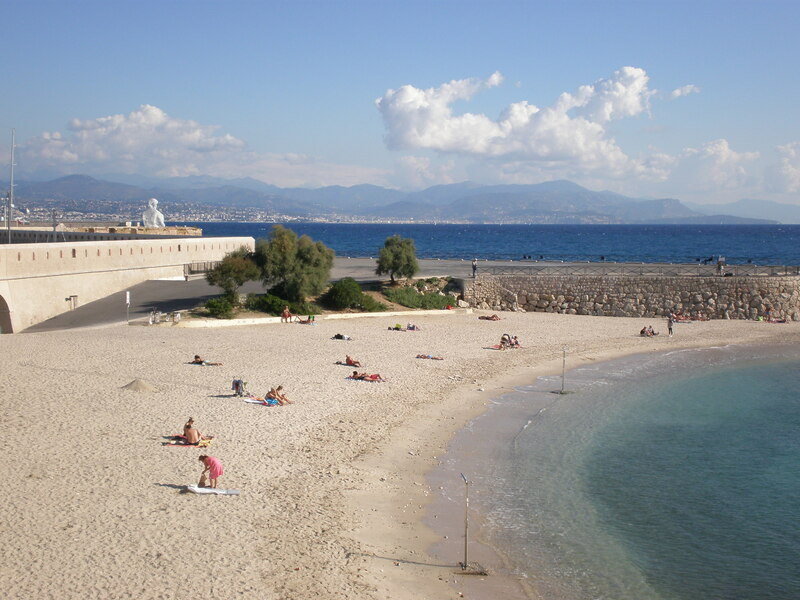 From here you can see the entire bay of Cannes and the Lerins islands. If you want you can visit Musee de la Castre or go inside the church Notre-Dame-de-L’Esperance. After you’ve rested your feet and took numerous photos you can go down and explore the winding alleys back to the Rue Meynadier or even buy something fresh at the local market (Forville). 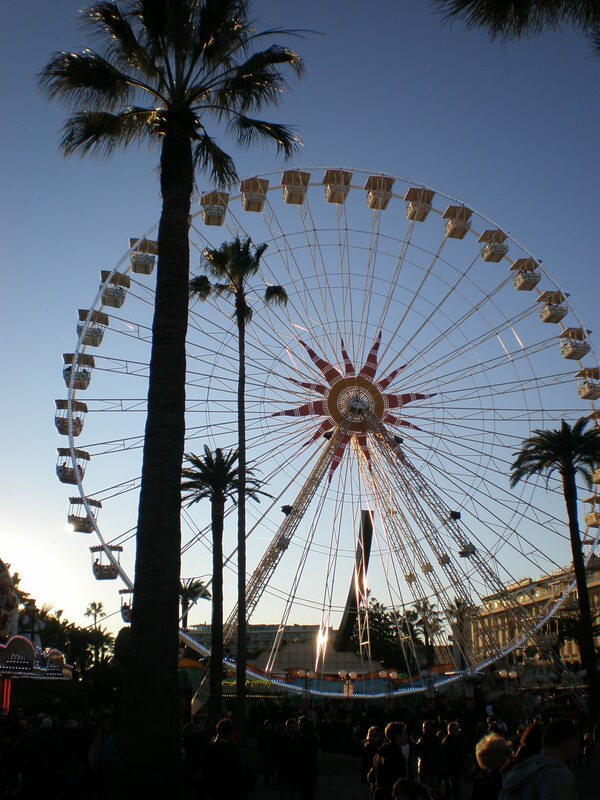 This year I visited the Christmas markets in Vienna, but last year and the year before that I spent a couple of days in Nice just around New Year’s. 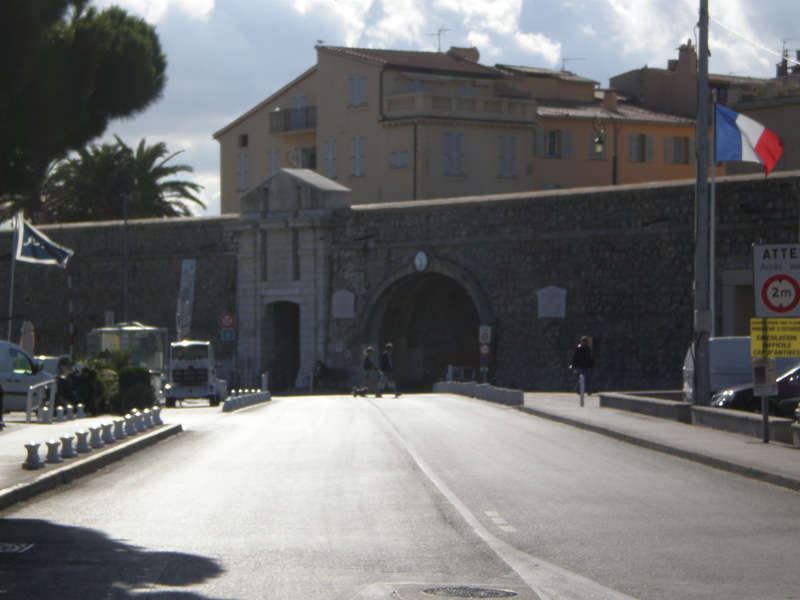 I really love Nice and it’s my favourite town at the French Riviera and I’ve been lucky to see it in different seasons. 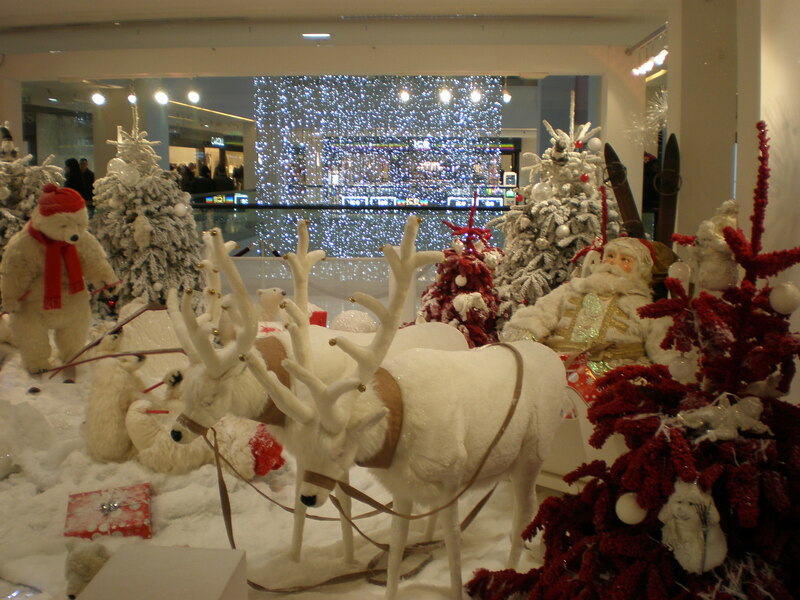 The main venue for all things festive is of course the main square Place Massena. 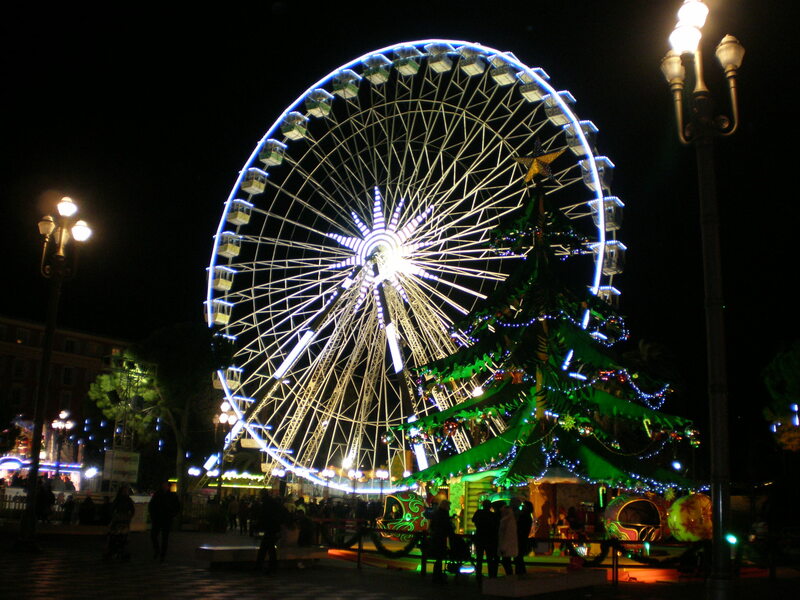 You’ll find a giant Ferris wheel there as well as a Christmas market. You can drink vin chaud (mulled wine) or eat pancakes&waffles or choose some other sweet or savory snack to nibble on while you browse the goods at the Christmas stalls. Everything is beautifully decorated and lit so you have to take a stroll in the evening to fully appreciate the festive lights. 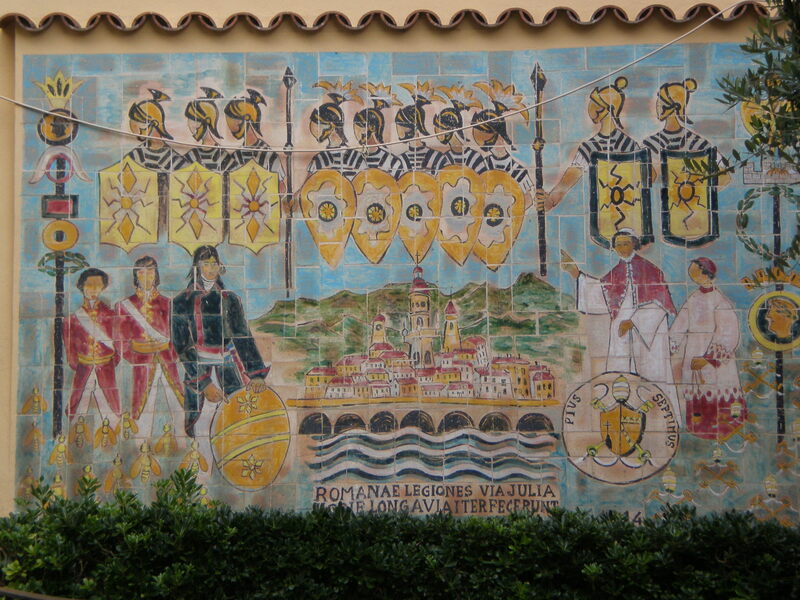 Another festively decorated square is the Garibaldi square. 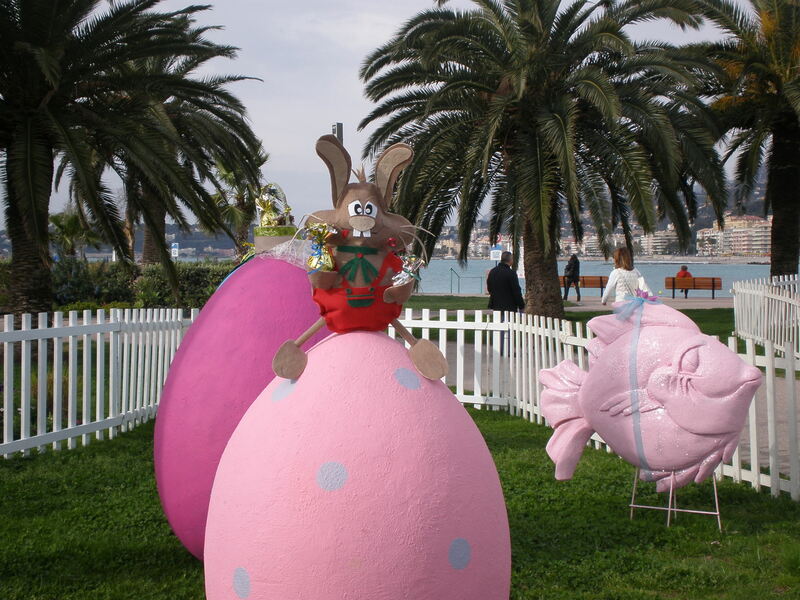 All the palm trees along the Promenade des Anglais are festooned with Christmas lights too. The Old Town under the Colline du Château and the streets around the Cathedral look very Christmassy and are as usually full of people. The main shopping street Avenue de Jean Medecin prides itself with exquisite lighting and nicely decorated shops’ displays. 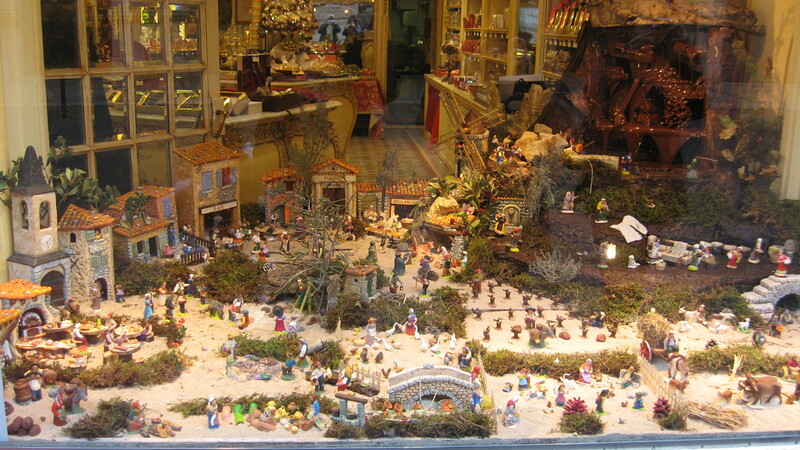 So, enjoy the photos of the festive season in Nice (they are not from this year but from the previous years).